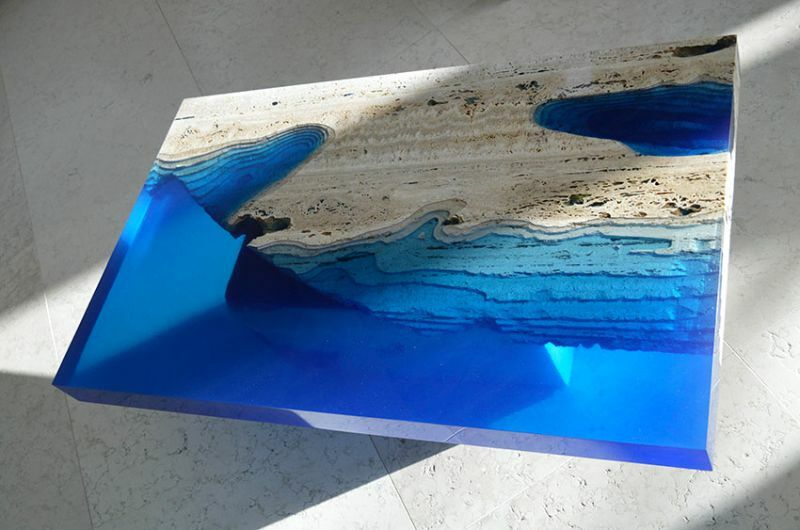 Furniture designer Alexander Chapelin of LA Tables has created a dazzling ocean-inspired table that’s perfect to bring comforting feel of water bodies into your contemporary home. Aptly called Lagoon Table, it is a functional work of art inspired by the landscape around his studio in Saint Martin, an island in the Caribbean Sea. 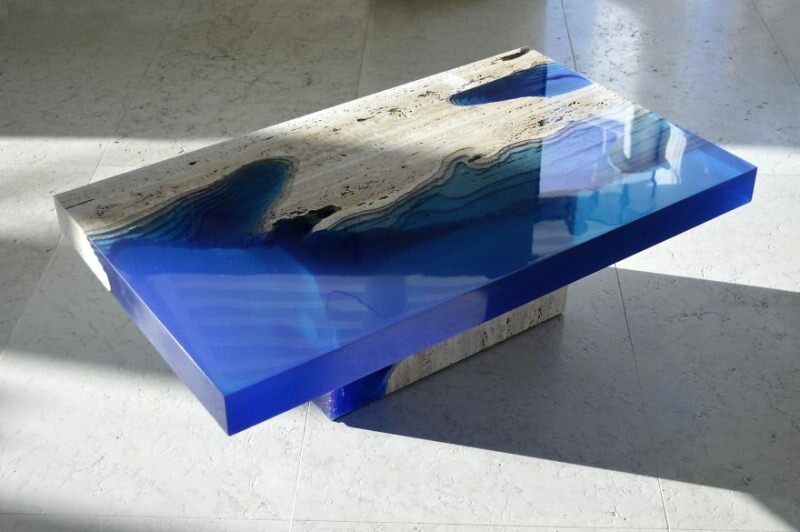 Made from travertine marble and blue resin, it has the perfect size to be used as a coffee table mimicking ocean waves and lagoon. 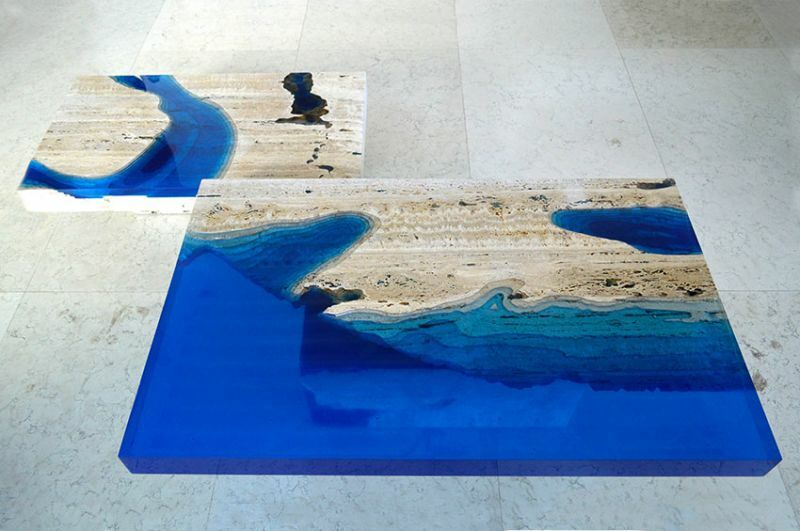 The travertine base is adhered with blue resin to create perfect seaside visuals by looking deeper towards the bottom. The blue resin looks deeper toward the bottom, which makes the water bodies, including their bed and surrounding landscape even more realistic. 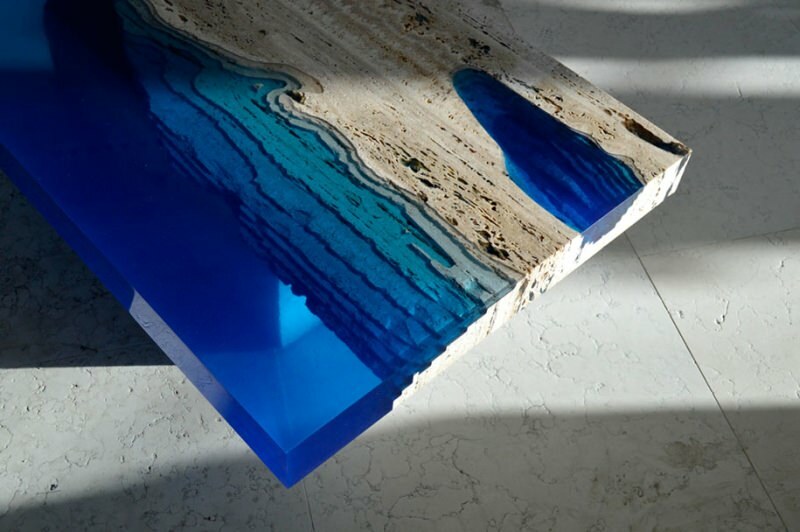 The idea of using combining natural stones with resin turns out as a classic-looking ocean table that’s also a sculptural work of art. There are intricately-carved recesses on the marble base, which appears like a contoured coastline. This distinctive table offers homeowners a chance to decorate their home with something that shows up the beauty of nature. With the Lagoon table, Alexander aims to add some artistic statement into simple furniture pieces. Back in 2015, he created five Lagoon tables in different sizes, design, and patterns. 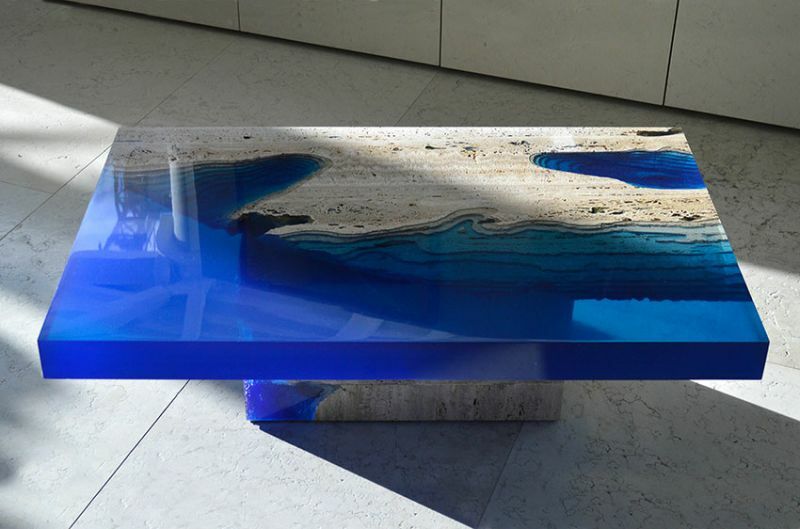 Ranging from €3,900 ($4,200)to €6,500 ($7,000), the Lagoon table brings a piece of ocean in your living area, while giving your home an embodiment of uniqueness and practicability.